Looking to expand your Philips Hue range of lights at home? You’re in luck, as a single RGB light bulb is down to a great price of just $35. Philips Hue is one of the best lighting ecosystems out there. From light bulbs to light strips, there’s everything in there to get started with a solid ecosystem of lights which won’t ever let you down. But, obviously, it comes at a solid price. A single RGB light bulb will set you back up to $50, which is a lot. 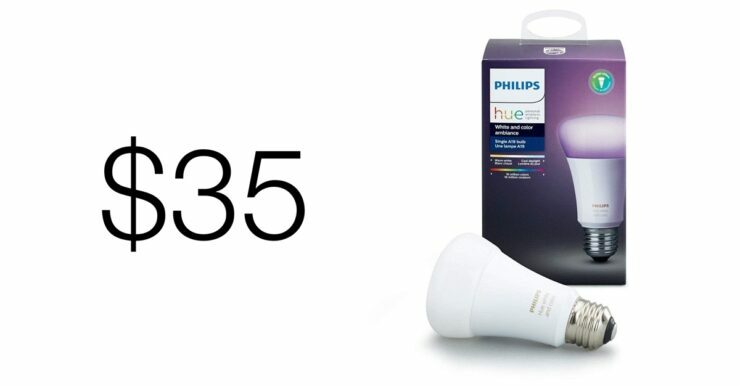 Thankfully though, today’s deal will let you get in on the Philips Hue RGB action for as little as $35, which is a discount of 29%. With that, you get a light bulb that will integrate into your existing Hue ecosystem using the Hue Bridge, and you’ll be able to cycle through 16 million colors, adjust brightness or even ask Siri, Alexa or Google Assistant to control the lights at your discretion. Please note that a separately bought Philips Hue bulb is essentially useless and won’t work until or unless you pair it up with a Hue Bridge. 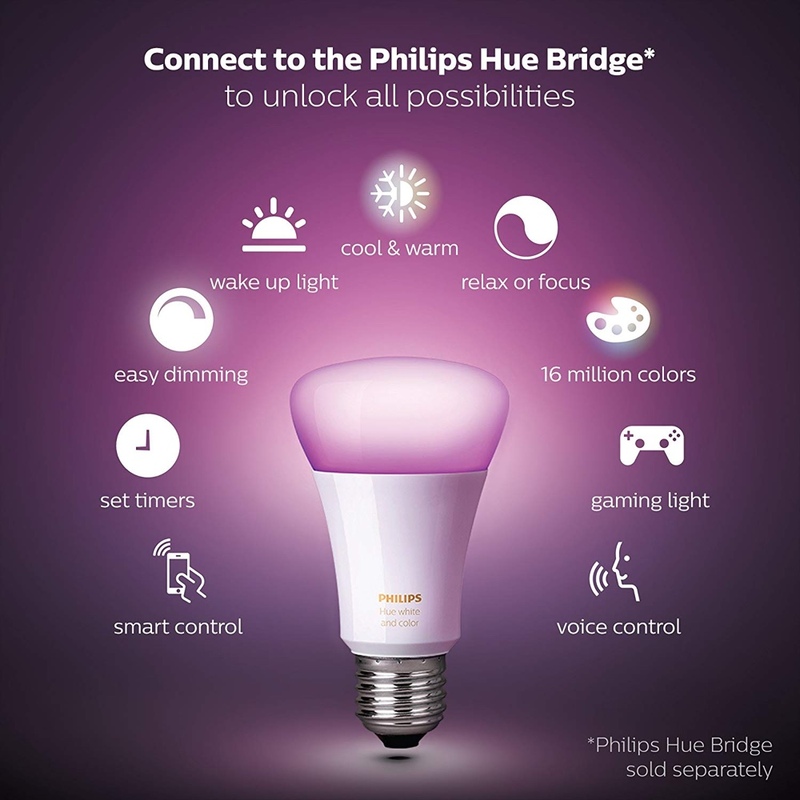 The Bridge is the centerpiece of the entire Philips Hue ecosystem and is required for everything to function. The Bridge supports HomeKit, Alexa and even Google Assistant as mentioned above. Basically, all the major platforms are covered. Grab your deal today and get in on the action!